Rated 5 out of 5 by Frezo from I love this game I love everything about this game. The Story, the graphic, the game play, and I am so happy it is finally out for MAC. One of the best game I have played so far. A lot of puzzle, different HOG's and a very long game. I will for sure re-play it. I hope we can get another game from this developer. Rated 5 out of 5 by rjohn82677 from Darkarta: A Broken Heart's Quest SUPERB! This game is the BEST that I have ever played. The storyline is marvelous. A mother's quest to find and retrieve her daughter safely has no obstacle that will stop her. The storyline has a dual track that overlaps the past and the present-JUST OUTSTANDING. The puzzles range from "easy to difficult. I skipped a few of the puzzles because I wanted to complete the story. (i WILL RELAY THIS GAME.) The color and graphics are STELLAR in both the Main game and the Bonus game. HIGHLY RECOMMEND THIS GAME! Rated 5 out of 5 by NightDMC from Wow. What a Game! I love this game so much I actually first bought then the SE then decided to also purchase the CE simply to throw money at the developer. What a gorgeous excellent quality game! I have really only discovered these online adventure games about a year ago so I do have the experience many other have, but wow. The story really grabbed me. So much so, I was skipping through puzzles just to get back to it. But, honestly, IMO, everything was spot on. Using items more than once, tight searching, things making sense, beautiful graphics, an exotic culture and several twists I did not see coming. Smooth gameplay, good voice, great graphics and lovely music are included in this list. I am looking forward to a replay and fully delving in the CE. I can tell players I was blown away by the SE version. I have never seen a game offer so many extras in the sandard game. I kept checking to make sure I have bought the SE other than the CE. As an example of what I mean, the standard diary, which usually repeats what you pick up, in Darkarta, we are given an in depth view into the character's thoughts and emotions like a real diary vs simply tasks and highlights. What a treat. I am lead to understand this is TuttiFruitti's first game and I am excited to see what they do next. Considering their debut, I may buy it sight unseen, which is unheard of for me. If you enjoy the demo, believe me, it only gets better. Rated 5 out of 5 by Bumbles2 from Beautifully done and very entertaining !!! There is so much to say about this magnificent game and I don't know where to begin...the story-line is easily followed and that alone was a good feature !!! When you start this game you'll see why she is cursed. The graphic artists have shown that they are some of the best anywhere...well done guys !!! Music is also well done...I know this because I didn't have to turn in down...LOL There definitely was some challenging area's ...to be more specific I found the challenges in the mini-games, puzzles, and HOG's a wee bit difficult..but with a little concentration and brain power they can be done !!! I absolutely recommend this game and if I could I'd give it 20 stars I would in a flash. I suggest you try the demo and I'm pretty sure you'll want to add this great game to your library !!! Have fun all !!! 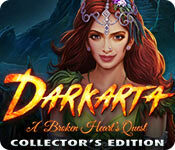 Rated 5 out of 5 by pierina20 from darkarta from TUTTiFRUTTI i really loved to play this game. 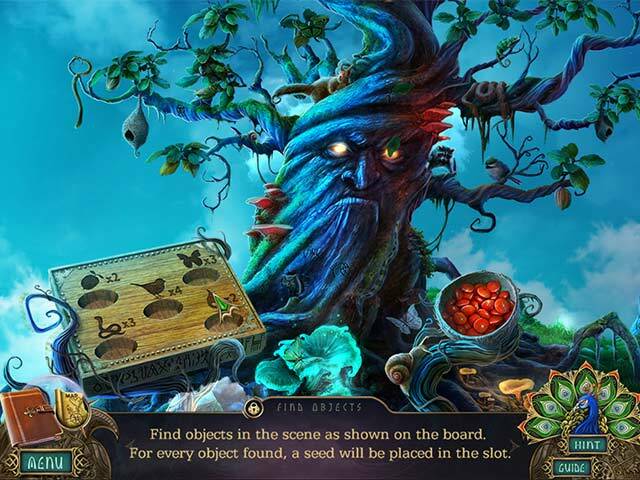 Rated 5 out of 5 by Fuphyter from INCREDIBLY ASTOUNDING GAME I've been playing hidden object games for 8 years now. I rarely leave reviews but, this time, I have to. This game is stunning. It is beautiful in story line and graphics. I haven't even finished the bonus game and had to write this review. It is different in story line and a singularly magnificent game. Ok no more adjectives. It really is one of the best games I have EVER played and I own hundreds. Great job to the game designers. I can't wait to play the next one you create. Just a note: the landscape in the bonus game is so worth the cost of a CE. LOVE IT It is now my favorite and I have a feeling it will be for a long time. Rated 5 out of 5 by yowzasma from THANK YOU TUTTIFRUITTI !!! Oh how I enjoyed playing this wonderfully produced game. Everything about it was great from the storyline, graphics, music, non-linear treat, hogs and mini-games,,,,all WOW ! It was obvious how much love and hard work the Dev. 's put into this with the bells and whistles used in it. A whole lot of my Fellow Fishies have given wonderful descriptive descriptions about it so please check them out. I do so hope these Developers have more stories to tell us : ) and I fully suggest the Collectors Edition if you can get it : ) This beauty is getting a full 5 out of 5 on my personal enjoyability scale : ) !!! Rated 5 out of 5 by jillaroogirl from In One Word: Yes This game grabbed me from the start; I don't usually worry about the storyline (hence the 4), but the graphics, puzzles, additional features, are all here in this game and after 6 minutes of playing I stopped to purchase it. Rated 5 out of 5 by Hersheyguy1 from A BEAUTFUL TALE ABOUT A MOTHER’S LOVE! After finishing this game, I was left speechless! 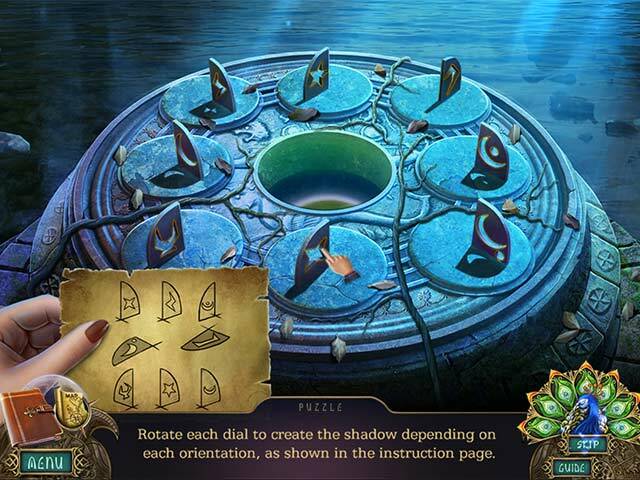 Every aspect of this game is fantastic from the complex yet understandable storyline to the fantastic artwork to the engrossing puzzles and hidden objects scenes! This game deserve all 5 stars because the only negatives I could think of were extremely small details that in the long one. This game is designed for all levels of players who want a casual experience through a magical fantasy with an engrossing story. I cannot wait for the next installment of Darkarta, and Tuttifrtutti has already started to provide screenshots and sneak peeks of their next game. Pros: - Beautiful graphics and audio that will absorb you into a world with mythical creatures and all powerful gods - A complex story of a mother saving her daughter from the clutches of an evil king who only wishes to save his beloved. Two love stories in one! Completely original and super creative! - The main game is long and the bonus chapter continues where the main game left off, adding another to 45 minuted to an hour of gameplay - Puzzles are very creative and not too many HOS - The cutscenes themselves are like profesional short films Cons: - The HOS need a little more variation besides lists - Some of the puzzles are too easy Please support this up and coming developer! 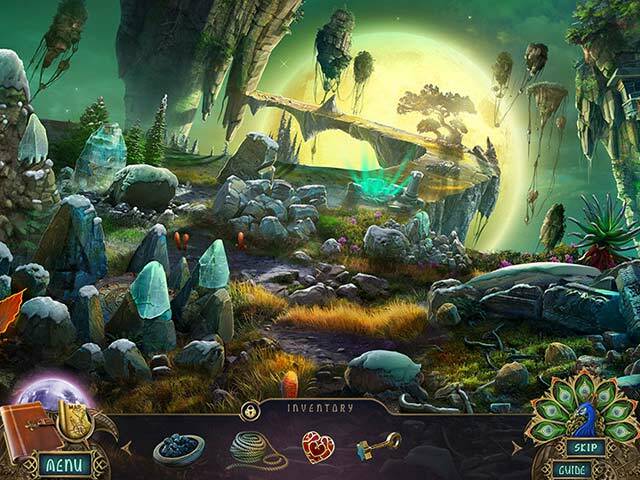 Rated 5 out of 5 by mikkigamer from Challenging puzzles and fun Hidden Object Game! This is my first review on Big Fish Games. I thoroughly enjoyed this game and loved the graphics! It's a game that I would recommend to anyone who likes HO games. I am a Senior lady and would recommend this game to other Seniors as well. It will really make you work your brain cells : ) I did find the first puzzle very hard to solve to continue onto the game, but it all worked out.